Nancy Cooke Bunnell’s pastels are infused with light, color, and energy. She is an award winning artist and most recently won ‘Best in Show’ at the Connecticut Pastel Society, 2012, first Place at Mansfield Art Show, 2011. and placed third at the Connecticut Pastel Society Show, 2011. 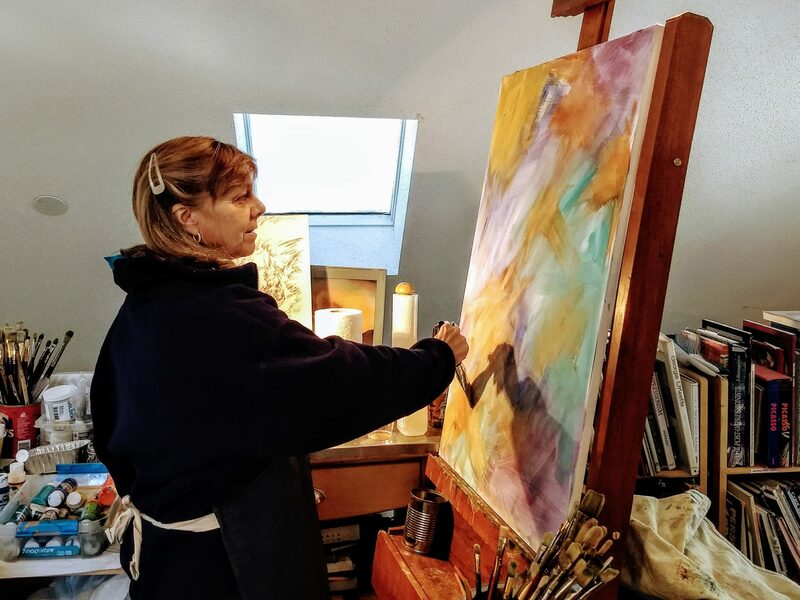 She has studied art at three universities, is a professional artist, is a certified art teacher, and has taught children and adults for over 30 years. Nancy presently teaches and shares her enthusiasm for art with children and adults at the Community School of Art at the University of Connecticut and privately tutors adults and children in her studio. She also taught at the West Hartford Art League and will be teaching at the Maple and Main Gallery in Chester.She displays work at the Lyme Art Gallery, Connecticut Pastel Society Gallery 53, Maple and Main Gallery, Tolland Art Gallery, Artist Open Studio, and other venues throughout the state. She has displayed work at the Arroyo Gallery in New Mexico. Nancy has worked in a variety of mediums but prefers pastel and oil painting as well as photography. Her ultimate goal is to continue to develop her painting skills and assist others to become more inspired and excited about valuing and creating art.